October is Customer Service Month, and we’re marking the occasion by sharing a few recent examples of our Customer Experience Initiative in action. As we head into another year, the initiative is embracing the theme of Real Customers, Real Impact. The concept of highlighting people touched by County services was part of this year’s operational plan presentation. Hearing the stories, from the customers themselves, helps employees feel the connection to the people we serve and makes all our actions more relevant. Here are a few specific ways departments are improving the customer experience. 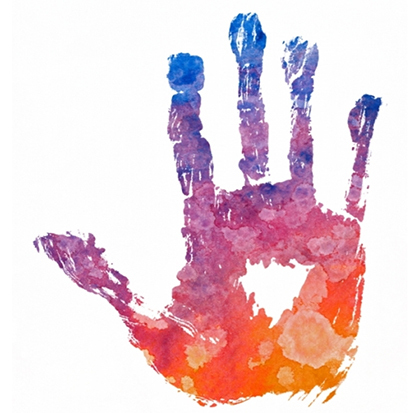 At the County Psychiatric Hospital, employees can recognize each other’s excellent customer service by giving them a Hands Up/High Five picture. They write the name of the person over the hand and then a description of what HEART qualities their colleague demonstrated. The hands are then put up on a wall where everyone can see them. It’s a colorful, constant celebration of staff members’ hard work and reminder of customer service principles. The General Plan lays out the rules for how land can be developed in our unincorporated area. But it leaves room for unique circumstances. Planning & Development Services’ Kevin Johnston oversees requests from property owners who want zoning changes on their land. Over two years, he’s attended 23 community meetings around the county, explaining the process and getting feedback. The rules are complex, and people get passionate about their property. So when community members praise Johnston’s work, that’s testament to his Expertise and Attentiveness. Technology is behind many customer service improvements. The County’s Vet Connect program lets veterans in the County’s backcountry go to their local library and use videoconferencing to receive services and complete paperwork. The vets can avoid lengthy travel to offices in central San Diego. This summer, the County launched the latest installation of Vet Connect at the Valley Center Library. Meeting customers where they are – even if it’s virtually – greatly improves their access and satisfaction. Ribbon-cutting for the the Vet Connect service at the Valley Center Library. Those are just a few brief mentions of countless ways County employees are taking a positive approach to give customers a positive experience. As part of Customer Service Month, we invite you to share pictures of how you’re keeping HEART and the Customer Experience Initiative going in your department. If you have pics of recognition boards, group shots with posters, or any other things demonstrating your commitment to exceptional customer service, you can email them to us. We’ll put together a gallery to close out the month.